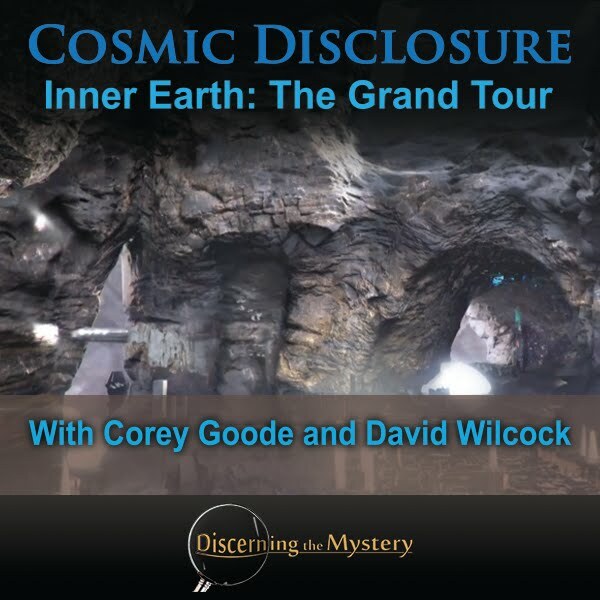 This week's episode of Cosmic Disclosure began where last week's episode left off. 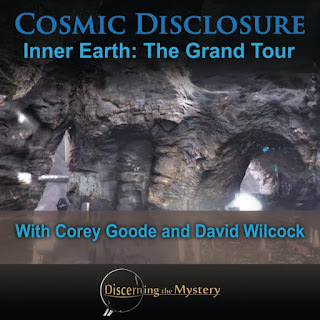 Corey Goode described the tour of the Inner Earth habitation that he and Gonzalez received following the conference and Corey's mind meld experience. The descriptions of the environment he gave from this tour were quite impressive—towering ceilings, elaborate architecture and stonework, enclosed, subterranean caverns the size of entire states, along with the highly advanced technology the priestess and tour guides used for most tasks. The scene was painted quite well, yet I found myself still wanting to know more (as well as to see this scene for myself). 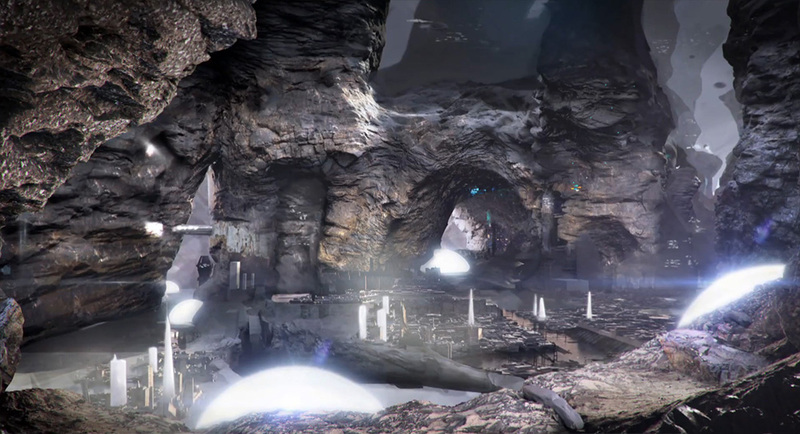 Some of the other environments that were included in this depiction were expanses so large that you could barely see the ceiling. Corey mentioned that in one expanse, the pillars were so big, that they could easily dwarfed any city skyscraper, and told about how these pillars served as massive living spaces for many of the Inner Earth inhabitants. One of these expanses, as he put it, was filled with flying craft. These craft ranged from the stereotypical saucer design, to cigar-shaped craft, and even egg-shaped craft as well. One of the most interesting details to hear was that these craft were flying through the walls of this enormous expanse as though there were no walls at all. The description went on about the immense agricultural system which these people successfully sustained for ages of time. One might imagine growing food underground might be difficult, but these inhabitants seemed to have no issue with it. The soil, as Corey described, was made from ground up crystal fragments, and the irrigation and fertilization were self-recycling. These people accomplished this by filtering the water through a compost filtration system where vital minerals and nutrients were infused into the water, and that water was pumped out to the crops. The operation seemed extremely efficient (which would be expected in a completely enclosed system. There was one scene in Corey's depiction where his tour guide took him to see an open area that sounded like something similar to a marketplace, or a busy walkway. 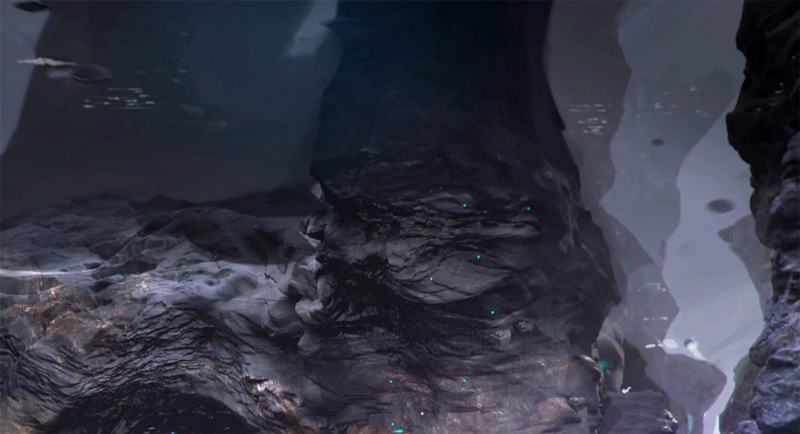 His description of the people gave me the feeling that they were well-adapted to the subterranean environment. After all, these people had lived in this environment for several million years, as Corey put it, so the adaptation to this way of life seems quite understandable. It was interesting to hear about how these Inner Earth dwellers had preserved some wildlife that we on the surface would consider ancient. There was one point in which Corey talked about an immense wildlife preserve . In this place, there were trees that would dwarf any tree we see here on the surface (though, to be fair, Corey was not familiar with the size of the larger, red wood trees here on the surface, and didn't want to give an inaccurate comparison). He went on to talk about the sounds that he heard, as there were not many animals visible at the time. At one point he described a gut-shaking, roar-like sound which I imagine sounded similar to an African lion. There was one point in this episode which I found more interesting than the rest (though the rest was very much interesting). 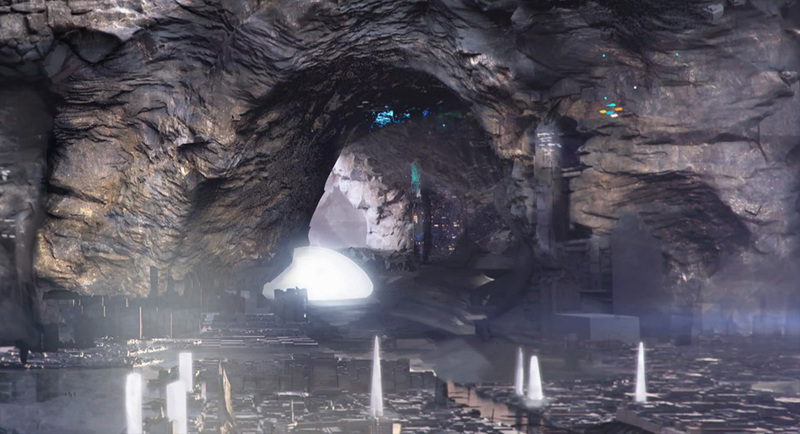 It was the point when Corey described this terraformed, subterranean environment. He talked about an artificial sun technology which was a ball of plasma suspended above a large, "weathered" obelisk. It turned out that just by chance, this scene was the exact idea for the cover art that David Wilcock pictured for a new book that is soon to be published. David was taken back by this apparent synchronization, but along with it, he had been having some type of psychic contact with someone much like the priestess that Corey described. I find it very intriguing that even though only one of these men had been to Inner Earth, somehow both were consciously aware of its existence at some level. I enjoy hearing about these types of occurrences, seeing that they can help to thin the veil of the illusion of separation, and allow us to see the fact that in many cases, the people in our lives share in our higher purpose. Though I don't have any certainty about my own personal experiences of the "supernatural" kind, I can say that it is a joy to watch the pieces come together. I imagine that Corey and David are enjoying uncovering their own personal mysteries as well. This episode was highly enjoyable, as expected. I look forward to more.